They Are Silent No Longer. The P.R. Outreach From Some Of Our Favorite Youtubers. And now, on to the article. It’s a growing topic. And a growing hashtag (#WTFU.) An outreach of P.R. between internet creators and the audiences that love them. It’s part of a discussion of what it means nowadays to be a professional creator on the internet, and on the biggest video sharing site we have. And this affects everyone — myself included — who enjoys YouTube, which I imagine is most of Clearwater. And, I imagine it’s most of America, considering the widespread ownership of computers in modern-day society. Because commentary, and criticism, and parody are a legitimate form of art — enjoyed by many — with a long-standing history in print media that now finds itself attacked on YouTube. And perhaps if all YouTube videos were a matter of hobby only, this may not be as big of a problem. But, we live in a world where artists make a living off of YouTube videos. And so we need to at least consider all the problems that restricting them poses. P.R. Is Communication. And It’s About Time We Talked About This. 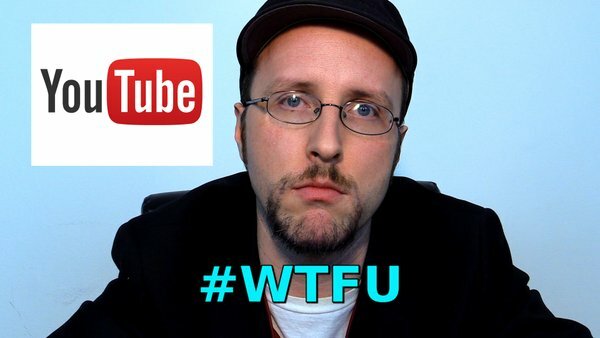 Because if Fair Use becomes a non-defense, or if it’s basically ignored on YouTube, and the people doing honest, and legal videos can no longer do so without fear, then we stand to, and the creators certainly stand to, lose quite a bit. An entire genre of videos — and many people’s livelihoods. No more reviews. No more commentary. No more “Let’s Play’s.” No more video discussion of films, television, or songs. A drastic loss of creativity on a still young form of artistic expression. And I hate to leave this on such a bummer, but there are no set answers to the problem yet. At least not that I can see. But it is something we need to look at, and I urge you to watch one of the various videos on the subject. Because in our internet age, it’s becoming more and more important.